Kessaku Japanese Restaurant located in quiet Commercenter, Alabang. 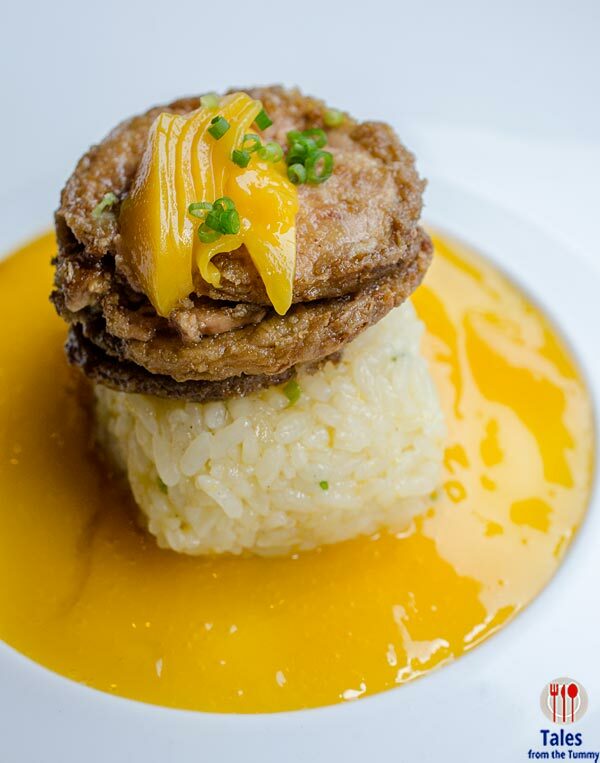 Kessaku is run by the same group behind Yumi in Greenhills and Century City Mall and Muchtown. Yumi and Kessaku share a lot of the same menu items but there is way more choices at Kessaku. 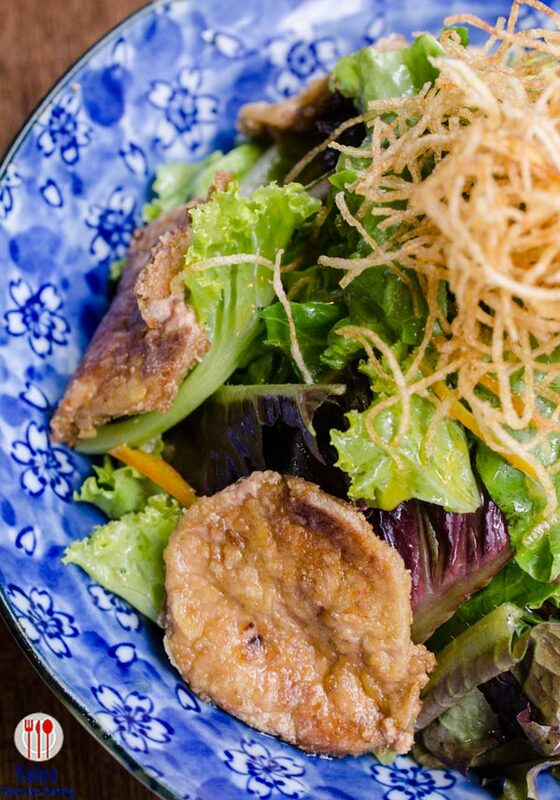 They serve a mix of the traditional and modern Japanese dishes presented artistically. Together with a group of foodie friends, we accepted an invite to try Kessaku’s Japanese creations. 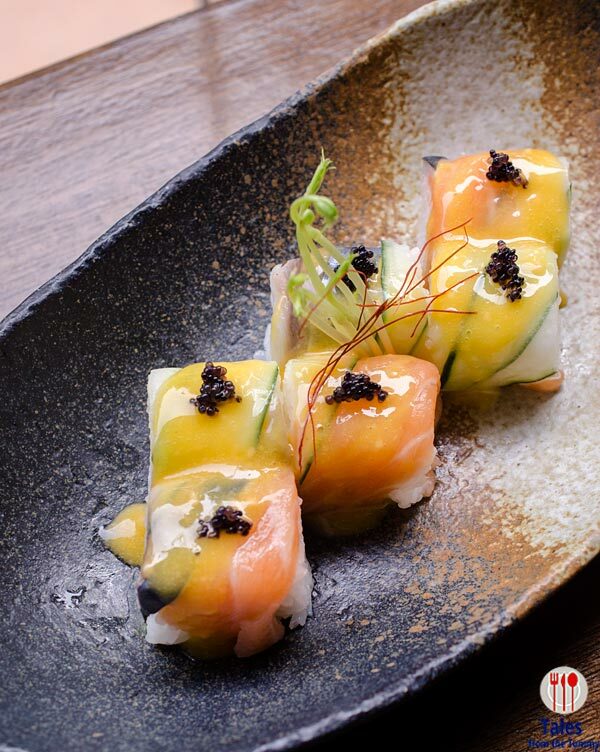 We started with the Smoked Salmon Roll (P267), each piece placed in a ceramic spoon for easy feasting. 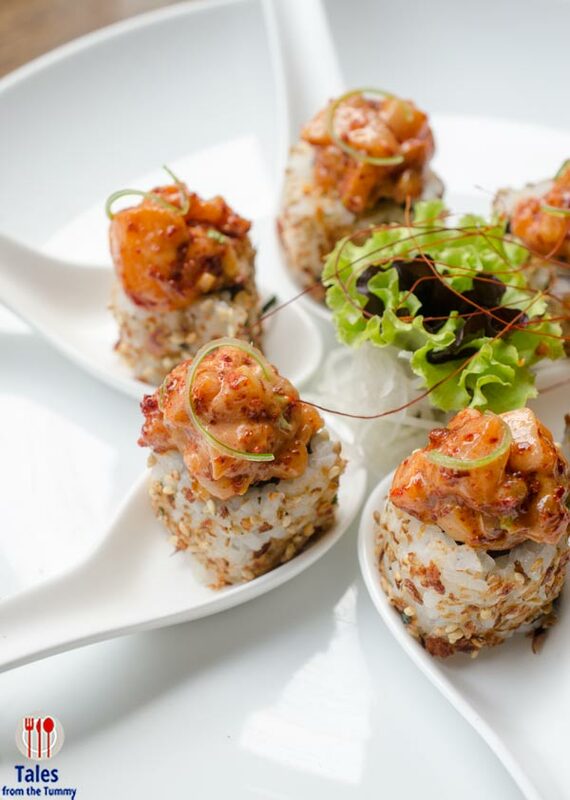 Smoked salmon mixed with togarashi sit atop makis rolled in sesame seed for a pleasany albeit spicy mix of textures and flavors. Hot Taki (P270). Lightly seared tuna with a shot glass of sriracha sauce. 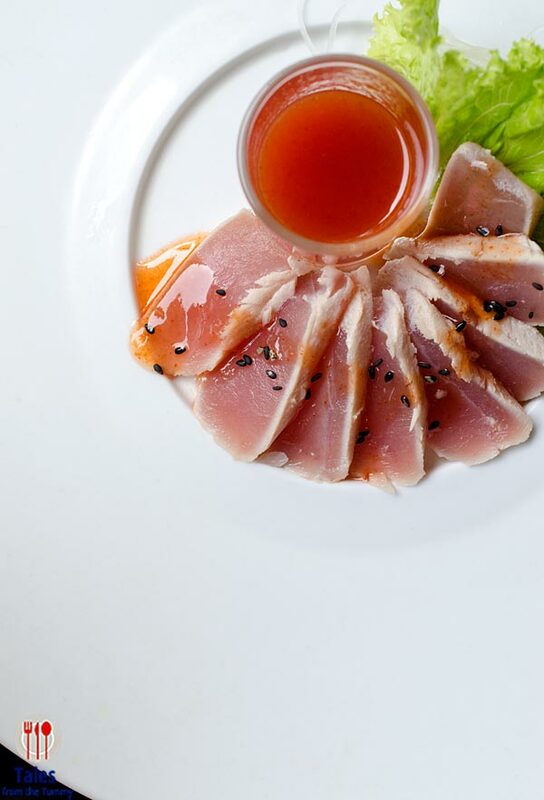 Go easy on the sriracha lest it over power the silky tuna. Ushi Ebi Sunburst Salad (P365) and Foie Gras Salad (P365). Here are two lighter options that should meet your daily quota of vegetables. Irene and I both preferred the sweet citrus vinaigrette of the sunburst salad, which could serve as a light option for ladies. The foie gras salad was unimpressive sans the foie gras. 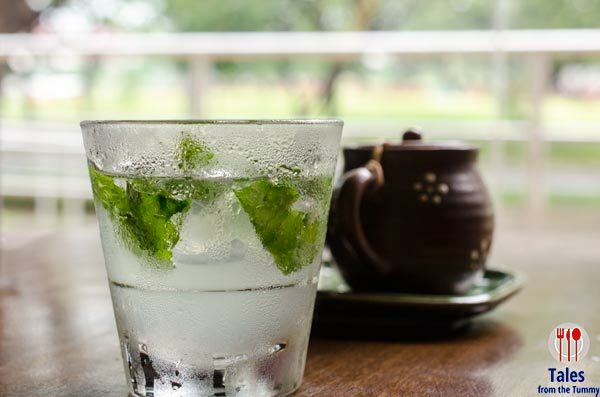 You’d be surprised to know to know that Kessaku also has cocktails like lychee martini, margarita and mojito which you can have unlimited orders of for P299, Mondays to Thursdays. Rainbow Maki (P257). Brightly colored and aesthetically pleasing maki topped with salmon, mackarel and cucumber slathered with a mango and cheese sauce. Pan Seared Foie Gras (P645). 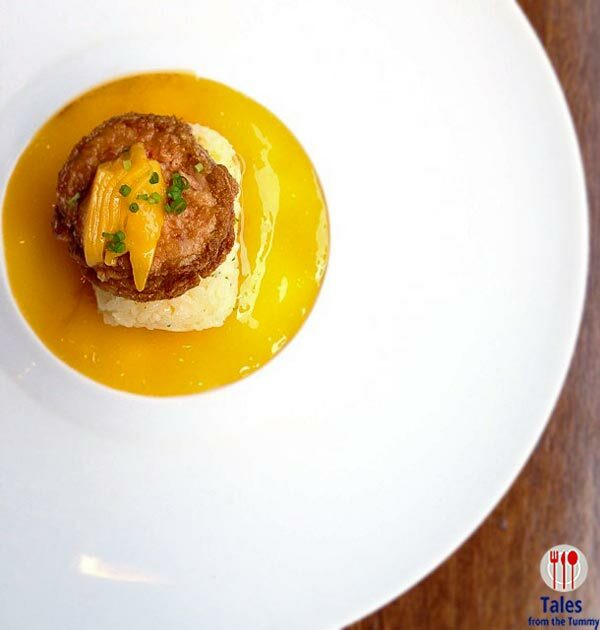 A layer of mango puree with a cube of vinegared sushi rice, slivers of pan fried duck liver and strips of mango. A sweet and buttery combination that is crazy indulgent. 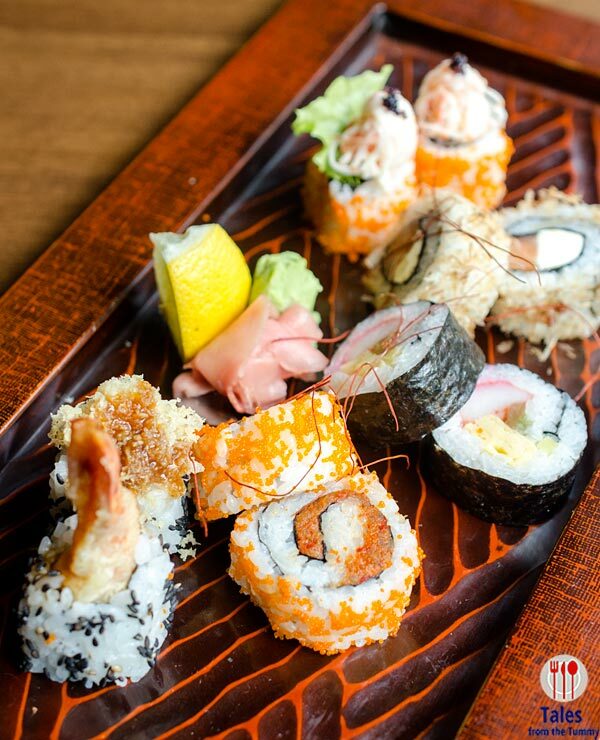 The Maki Moriawase (P400) is a nice order for those who want a little bit of everything. The plate has 2 pieces each of Philadelphia Roll, Dynamite Roll, Ebi Tempura Crunchy Roll, California Maki, and Futomaki. Sashimi Moriawase (P770). 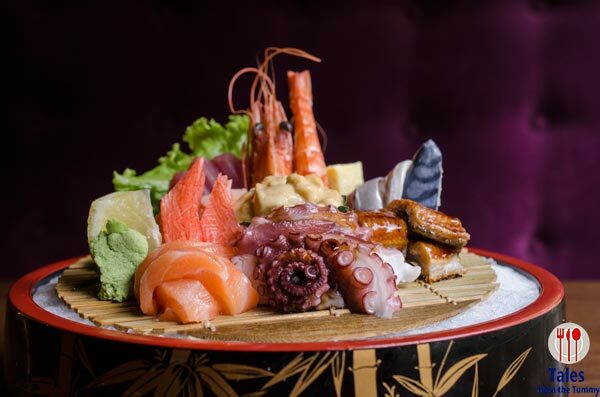 There’s an artistry to this plate of sashimi with all sorts of seafood placed from and center in a kaleidoscope of colors and shapes. Irene actually prefers sashimi as it does away with the starch and focuses on the fresh seafood instead. 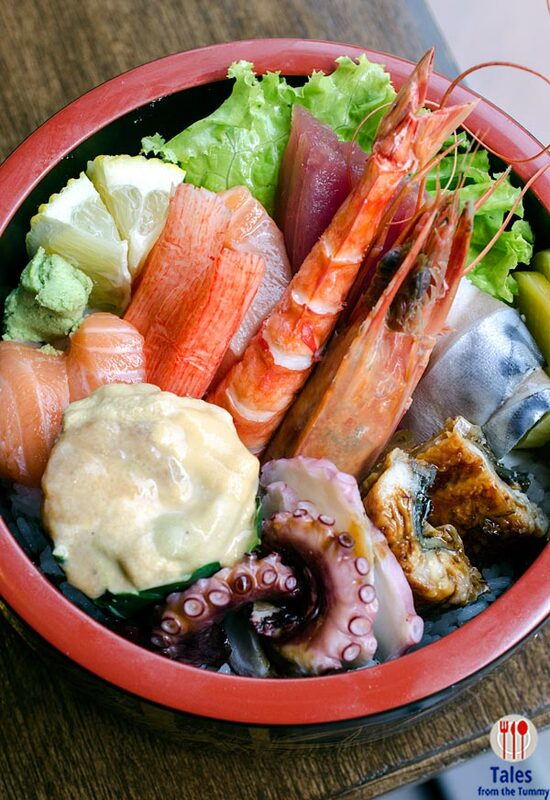 Chirashi (P400). This is one dish I never ordered before but Irene and I have since become enamored with this all in one dish. A bed of vinegared sushi rice with different fresh sashimi, a quick and fuss free option especially for lunch. Gyudon (P240). 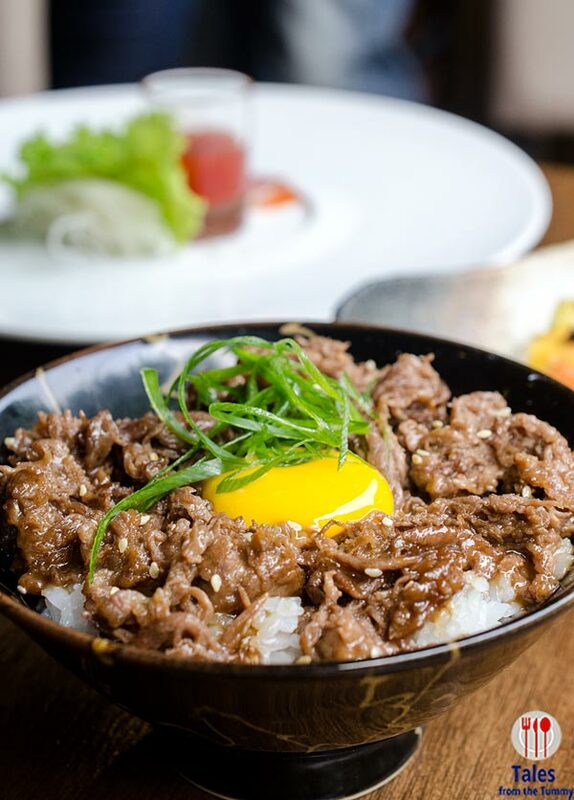 Sauteed sliced beef in a sweet sauce topped with raw egg yolk and spring onions on a cup of rice. This is a dish Lauren likes but she has them separate all components and request the egg to be fried sunny side up. Tartufo Hotate (P610). Scallop and assorted mushrooms (shiitake and shimeji) cooked in truffle browned butter. Fragrant and inviting, its earthy flavors pairs nicely with the umami juices of the scallops and the smoky butter. Ushi Ebi Tempura (P395/5 pcs). 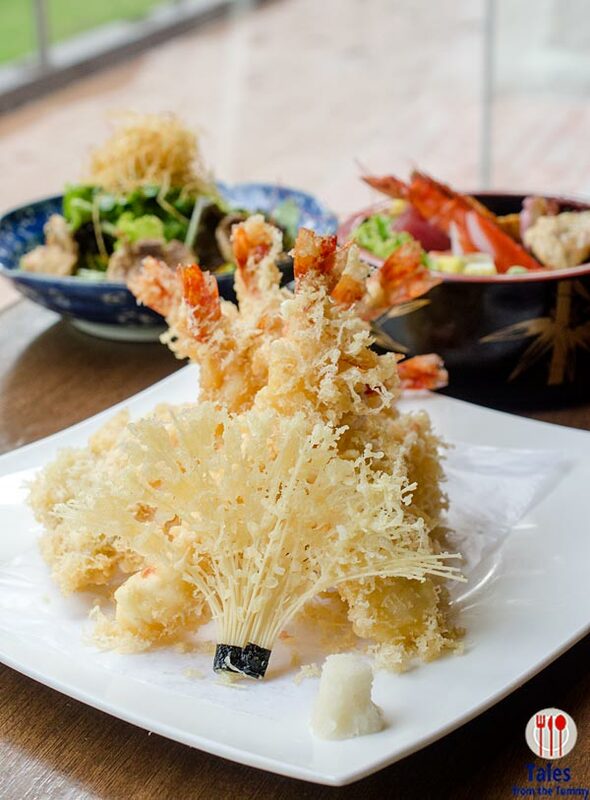 Crunchy shrimp tempura served with lemon and salt, an uncommon way of enjoying this well loved Japanese dish. 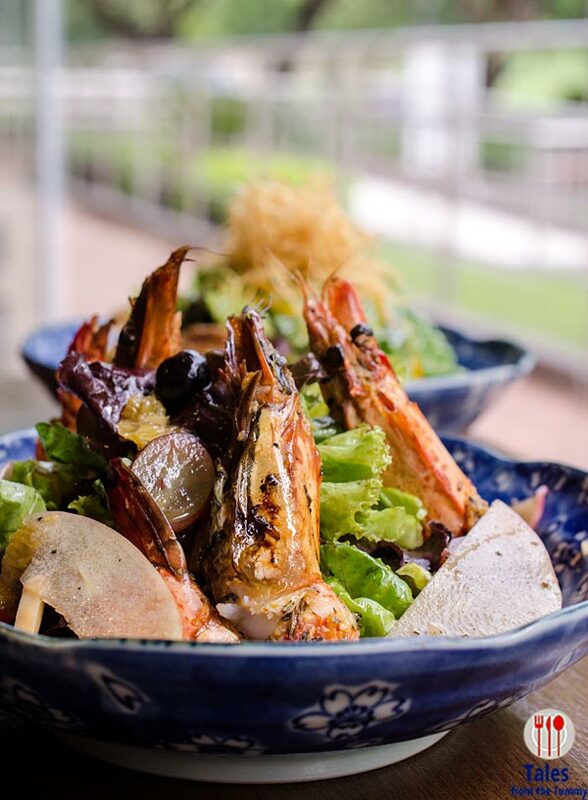 The combination lets you enjoy the natural sweetness of the shrimps and keeps it crunchy at the same time. It’s an eye opening experience that will have you thinking why it took them this long to serve it this way. There is a great variety of dishes at Kessaku Japanese Restaurant in Commercenter, Alabang. The low foot traffic in the building keeps the place a hidden gem while people flock to the more mayo happy places nearby. Interiors are nice and parking is a cinch. 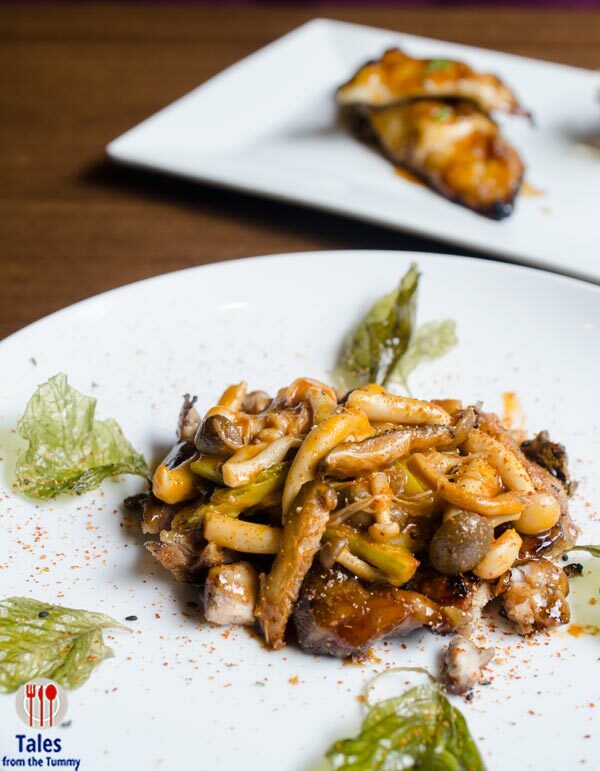 Looking for a new Japanese restaurant to try, then Kessaku should be at the top of your list. They even have reasonably priced bento boxes for lunch.